I seem to have been catching up on my reading lately and finally getting around to sequels that came out last year. 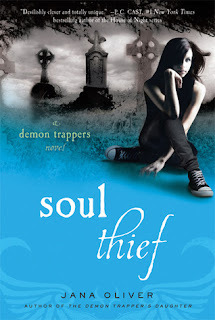 Soul Thief is no exception and I'm so glad I went back to the Demon Trappers series for this amazing follow-up. Soul Thief picks up immediately after The Demon Trapper's Daughter, about 1 hr after in fact, and Riley is trying to process everything that has happened. It was very easy to pick up the story and remember what had happened previously, thank goodness. All the old characters are there - Riley, Simon, Beck, Pete, Ori and there are a host of other characters, some old, some new, that help move the story along. Most stories these days have a love triangle going on, right? Soul Thief goes one better with a love quadrangle, or maybe even a love pentangle if Peter gets into the game, but be warned, there are some major surprises coming your way. I'm still gob-smacked by a couple of them myself, coming so far out of left field I missed the hints completely. Soul Thief won't make a huge amount of sense if you haven't read DTD, too much went on in the first one that is still relevant. However, stellar character development, exciting storylines and a deep sense of urgency make Soul Thief a fantastic read. Enjoy. All super happy titles. Haha! Guess most people are taking lighter summer reads from the public library? Monument 14 is an interesting concept, set in the near-future - some time after 2021. Still a very recognizable world, but with improvements on the internet - The Network. Of course, no-one ever thinks that the Network will go down, and that's where some of the problems lie. 14 kids end up in a 'superstore' - convenient? Yes, definitely, but the way they arrive there was completely plausible and did not seem contrived in any way. There is an incredible mix of kids of all types. No-one is perfect and they all react differently to the escalating crisis. Some handle it well, others - not so much. 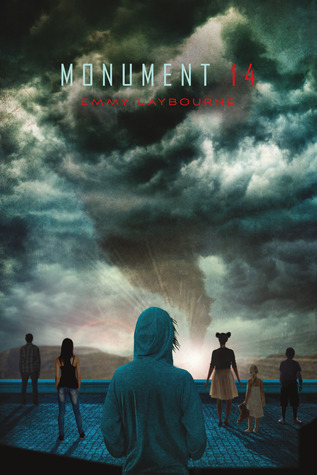 A series of events occur after a natural disaster, and the kids are left to fend for themselves. An extra dimension is added when, depending on your blood-type, you will react differently to a toxin that is released in the air. Which would you rather have - paranoid delusions, bloody lesions, violent outbursts or sterility at a later date? 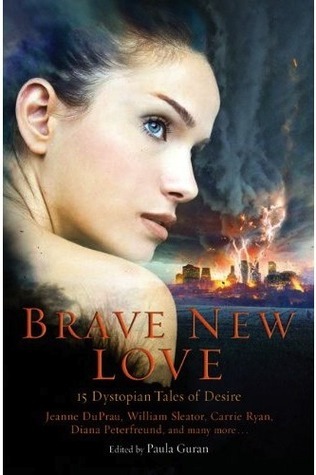 The kids' reactions to the crisis made for an interesting, tense and enjoyable read. With shades of Lord of the Flies, Gone, and a touch of The Mist, you're never quite sure what's going to happen next. 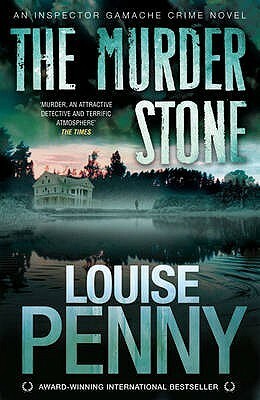 I enjoyed this one, and look forward to the follow-up, because yes - there is a cliff hanger ending, damn it! This is a book of monsters. While some might say that there is only one true monster in the book (and I can almost guarantee it isn’t who you think), I have a feeling that Ms. Bick wrote this book to point out that people are not inherently good or evil. We’re all just people making good or bad choices. But still, this is a book of monsters, if only in the way of choices and situations that rear their ugly heads and come crashing back down to destroy whatever lays in their path. I’m not normally a reader of contemporary fiction – reading is an escape for me, and that means magic, gadgets, creatures, outer space and more. 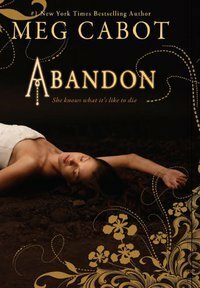 But I put this on hold at the library because I loved Ms. Bick’s Ashes – it scared me half to death. And a few days after reading it, I was still unsettled. Without mentioning zombies, vampires, werewolves or ghosts, Drowning Instinct once again unsettled me. 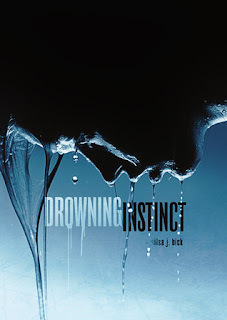 Written as a narrative as Jenna tells her story to a police officer, we follow her through the twists and decisions that have led her to where we first meet her (dripping wet and freezing cold in an interrogation room). 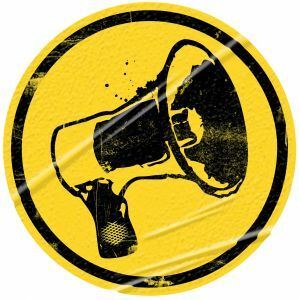 Her story is unfortunately one that probably isn’t far from many teenagers truths, and noting the triggers for actions and reactions is something Ms. Bick points out to us oh so subtly, in ways many writers cannot. Is it a happy story? Almost. Love is an overwhelming power house here – but it is love as a teenager feels it for the first time: all-conquering. But the layers of fear and secrecy woven throughout (as well as disdain, which I think you can feel from Jenna’s rhetoric as she lays the story out for Bob – mostly in her cutting way of reminding him that no, Bob, I’m not giving you all the nitty gritty details) add a depth and mystery that can be missing from more upbeat contemporary fiction. In the end we’re left with resolution, but more questions. We’re left to decide the truth for ourselves, depending on where our allegiance lies (FYI, mine actually lies with Bob). 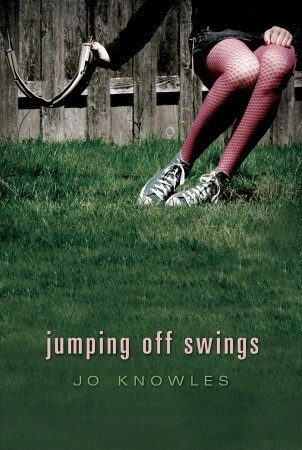 A great surprise for me – a contemporary fiction novel that I didn’t need to relate with to enjoy (although sadly, there are some aspects that I can relate to), characters that pushed the limits of tolerance for the reader (you want to love/like/hate almost everyone at some point) and an author who can breathe life into a simple, stunning, and sad teenage narrative. Thanks again to Special K for this great review. We love you. OK, I'm gonna do it. For the duration of the London Olympics I will be reading like a crazy book lady (Oh, sorry to take your title away Curlypow....). Random House of Canada is holding an Olympic Readathon. Its an opportunity for you to chip away at your TBR pile and get as much reading done as possible. Be sure to tweet @RandomHouseCA with the hashtag #OlympicReadathon with your progress. You can also add your name to the spreadsheet to help monitor your goal. I'm number 113 with a goal of 2000 pages. Please comment on this post if you decide to sign up with your goal. I'd love to connect with my fellow "reading athletes"!! OMG, how can you expect me to remember that far back, LOL? Alright, if I stretch my memory really hard, I think it would have to be Lord of the Flies by William Golding. Yeah, I know that's a little strange, but it's one of the few books I still remember almost from start to finish, and its message stayed with me a long time. A close second would be To Kill a Mockingbird I think - I've never forgotten its message of tolerance. Sad to say, Drain You was another of those books I enjoyed, but ..... This time I enjoyed the story itself, but I absolutely did not like the main character, Quinn. She was, to me, a spoilt brat, with too much time on her hands and no sense of responsibility or boundaries. 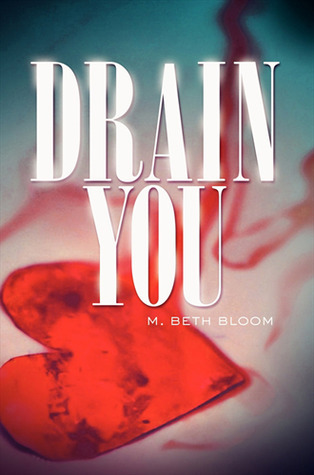 She appeared to me to use people shamelessly, and over-react to anything and everything, and I never did understand the relationship between Libby and Quinn. Were they best friends, or not? Quinn seems such a huge drama queen who spends an awful lot of time lying around unwashed and feeling sorry for herself, and I kept wanting to shake her and tell her to have a shower. I found it hard to have sympathy for someone who turns up for work in a bikini top! As usual there were lots of hot guys running around, and in this case, as the title suggests, they are vampires. James is the good looking, 'good' vampire, but he seems to disappear when he's most needed, leaving the field open for the 'bad' vampires. Them I liked! They were just nasty sleaze buckets and I could not understand why Libby got involved. Sorry, don't want to give away too much story here. One character I did like was Whit, James's brother, but I couln't understand what he found so appealing in Quinn. To cut a long rant short, the storyline was interesting enough to keep me reading, but in the end I didn't find it anything special, and the ending just drove me bonkers - so strange. I'm certain there are many vampire fans out there who will drink it up - pun intended - and I'd love to hear from you, but I'm sorry Drain You, I'm just not that in to you. Ohhh....the dead are rising in Philly! This one is about zombies! I mean, c'mon, who doesn't like zombies? A charming collection of updated recipes for both classic and forgotten cakes, from a timeless yellow birthday cake with chocolate buttercream frosting, to the Christmas standard, Bûche de Noël, written by a master baker and coauthor of Rustic Fruit Desserts. Cakes are central to the way we celebrate, whether that celebration is a birthday, a wedding, or just a warm summer evening. 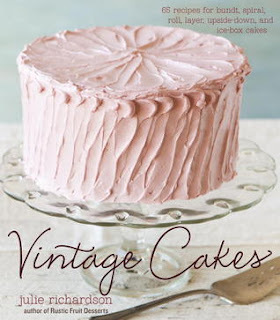 With recipes for no-bake, roll, layer, and upside-down cakes from both the recent and more distant past, Vintage Cakes is a confectionary stroll down memory lane. Some of the delicious favorites to be rediscovered include: a frosted fairy cake (a hit at children’s birthday parties), the picnic-ready lemon icebox cake with white chocolate cream, and a boozy eggnog bundt cake with brandy butter glaze. With Richardson’s modern look at beloved baked goods, these 65 nostalgic and fool-proof recipes rekindle our love affair with cakes. I was one of those lucky kids blessed with a mother, aunt and grandmother who baked - all the time. And they all baked different things, which made it even sweeter (pardon the pun). I remember standing watching all of them at one time or another, and thinking' one day I'll do that'. Now I do, only very occasionally. It seems that these days we have grown away from spending time in the kitchen and making things from 'scratch'. Perhaps Vintage Cakes by Julie Richardson will nudge you back into trying cake making again. Vintage cakes is choc' full of gooey sweet goodness that is just crying out to be baked. Arranged into chapters by type of cake, there is sure to be something that appeals to everyone. Try Hasty Cakes - Rhubarb Pudding Cake anyone? ; Everday Cakes - how does Not For Children Gingerbread Bundt Cake sound? (it's the brandy that's the key here); Little Cakes and Light Cakes - Boston Cream Pielets for dessert sounds good; Flips and Rolls; Layer Cakes; Party Cakes - Double Dip Caramel Cake sounds like heaven - and then there's a chapter just on Fillings, Frostings and Icings - 19 of them if I counted correctly. Oh my mouth is watering just looking at these pages. Each individual recipe is explained clearly and although some are a little long, all of them sound wonderful. I did wish there were a few more pictures of these wonderful cakes, but then I reminded myself that my grandmother et al didn't have coloured pictures to look at when they baked, just a recipe. They tried it once and if everyone liked it, it got made again. Vintage Cakes just cries out to be tried once, twice, over and over again. Have a look for it and see if you can resist it. I tried the Lemon and Almond Streamliner Cake and - though I say it myself - mmmmmmmm good! Now which one will I try next? Jessica Brody has a new title out. The reason why I'm blogging about it is because I love this author. She had me at Karma Club. It was hilarious! I love her sense of humor and wit. If 52 Reasons to Hate My Father is anything along the same lines, I'm in. I said one more thing and I lied....ok, last thing. Jessica is holding a contest on her website for you to win a Compete Heiress Makeover. Its open to the USA and Canada only. Check it out here. The deadline to enter is August 15th. Good luck! Now if I can just find time to read them all! When not loosing themselves in a story they remember they have real lives. Crystal lives in Kentucky with her husband and two little girls who plot daily the many ways they can drive their poor mother crazy. At the end of the day Crystal then calls Melissa and threatens to ship her two nieces to their favorite Aunt with lots of air holes punched through their box. Melissa answers Crystal’s crazed calls in Washington state where she lives with her husband and big furry baby of a Rottweiler named Yuffie and reminds her that children are not shippable. This is their first novel but they are all geared up and excited to be releasing other projects soon. It might help to explain the back story to us and why we went the route of writing together. Unfortunately we live really, really far apart. I live in Washington and Crystal lives in Kentucky. We normally talked about once every other week on the phone or on Facebook. So for Crystal to call me late at night was not a surprise, but I answered quickly anyways. (Most Hilarious conversation we have ever had, and yes some whiskey was involved on both sides). And yes Crystal, drunk dialing will always be hilarious! So back to the story, she was frustrated about the book, and couldn’t concentrate on having to revise and reread it again and again. So I told her she needed a set of fresh eyes to go over it and to send it to me. I’ll send it back to her in a few weeks and then she can look at it again after I made corrections to the best of my abilities. I jokingly told her all she had to do was make me brownies as a thank you. She agreed and then sent me a list of things she wanted changed and flipped and cut out and so on. It took me about three weeks before I sent it back to her and prayed she wouldn’t be pissed at the outcome. Three days later she called me and her voice was care free while she kinda shouted in my ear ‘THANK YOU SIS’! Pretty much after that phone call we started to collaborate on the rest of the ideas swimming around in our minds and decided that we needed to work together for the sake each other’s sanity and because we had more hilarious phone calls to add to the first one that started it all. We both have active and vivid imaginations and having someone else there to help with the releasing of those ideas is so refreshing. We get each other easily, sometimes finishing each other’s thoughts. So when one needs a break the other takes over. Now we are inseparable. 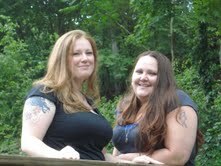 She’s not just my sister-in-law; she’s one of my closet friends, and my partner in crime. (On my recent visit, her husband (my brother) and my dad, were laughing at us because we were trying to make a ‘basket’ with the paper off of the straws into each other’s shirt, yes we know we are immature but it was funny - until she got the kids involved. She cheated and I quickly ran out of ammo.) We keep it simple and fun. We agree on a lot of things and when it’s put to paper, it’s amazing. Since I am writing this from my home in Washington, I know Crystal agrees with me on this. We wouldn’t be Jessie Lane without the other and that Crystal still owes me brownies. Love you SIS! Let us go back a little. I loved White Cat. It was so different. A wonderful blend of mystery, gangsters and magic. Next comes Red Glove, which while I enjoyed and the story kept moving, it suffered from a mild case of second-book syndrome in my eyes. Now, we’re onto Black Heart. And be still my heart! Black Heart picks up where Red Glove left off (which let’s be honest, it was a bit of a mess, what with dead brothers, Lila moving up in the family business and so on). 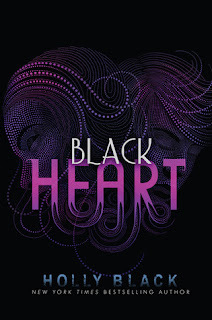 Holly Black never disappoints, but she was on point with Black Heart, tying up all the loose ends and making sense of Cassel and Lila (sort of...). The action never stopped, and I was always left questioning – WWCDN? (What Would Cassel Do Next?). Lila stepped into her father’s business wonderfully, without jeopardizing the character of the scared (but willing to rip your head off) little girl that once upon a time was a cat. The banter between Barron and Cassel is also enjoyable, although I would love another book from Barron’s perspective, just to figure out what is going on in the man’s head. All in all, a wonderful and awesome, awesome end to a trilogy. Or will it be more? 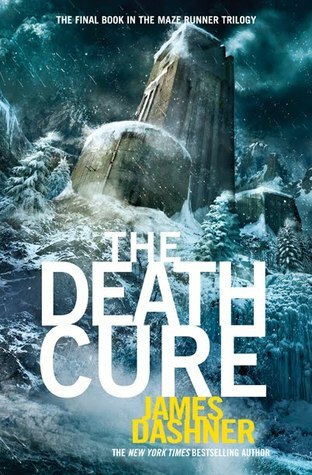 Do we get more Curse Workers books? I’d also love to high-five Ms. Black, to the nods to her fellow YA writers (I do believe the pageant from Beauty Queens was on TV at some point, watched by a character named Jace). And her subtle way of letting us know just what kind of a world this was she has built (an alternate reality. Yes, that means that in another dimension, you could be wearing gloves full time for fear of being worked!). Wonderfully subtle, and exciting for those in the know (you know when you see an Easter egg in a book or website, it always gets you giddy). 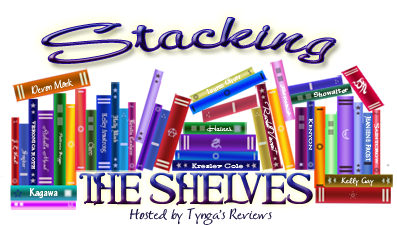 Lastly, I couldn’t end my ramblings without addressing the re-styling of the books. Personally, I’m on the fence about it. While I never loved the covers previously, I still don’t love the new style covers. And they have the added benefit of irritating me by ruining my matching set – I own both White Cat and Red Glove...but I refuse to buy Black Heart because I can’t get a cover to match the two I own. Is this wrong? Am I being ridiculous? Likely. But I wish publishers and authors would recognize that people like me exist, and save their re-designs for the trade paperback and pocket paperback editions. Or the re-issue of them in 5 years. But I got over it. Thank heavens for libraries –so I could read this gem of a book, regardless of what its cover looked like! 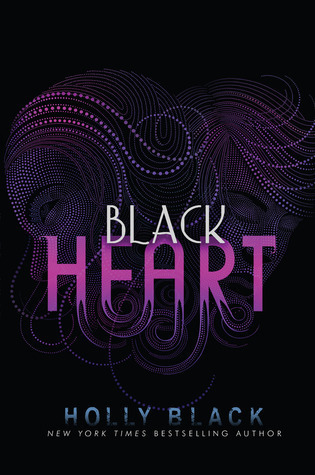 Thanks so much to Special K for this great review of Black Heart. I can't wait to read this one. It's Christmas in July! Someone gives you a giftcard for two books. What two books will you buy? Hmm...this is a toughie. I think I'd like to work on completing some of the series I've collected. I'd like to snag Bloodrose by Andrea Cremer (Nightshade #3) and Endlessly (Paranormalcy #3) by Kiersten White. Of course if these were sold out at the store, I'd probably pre-order Hidden (Firelight #3) by Sophie Jordan. You know, I'm thinking that I shouldn't even call this a review. More of a teaser. 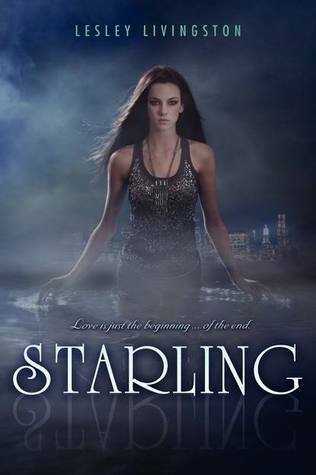 I was lucky enough to receive a sample of Starling from NetGalley and it was AWESOME! 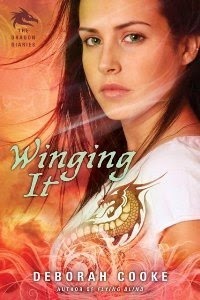 Ms. Livingston does not hold anything back when she dives into her heart-pounding adventure. 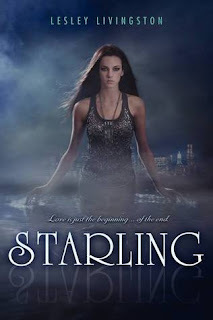 Starling is one to watch in the coming month and after reading just a couple chapters of this title, I can guarantee you it is making its way to the top of my TBR pile in August when it is officially released. 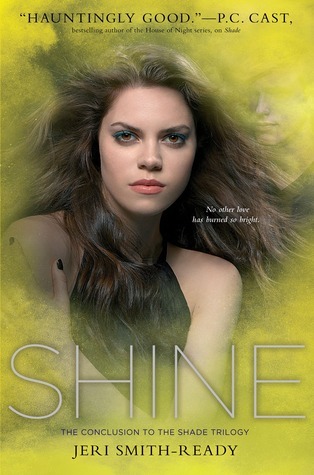 One last thing, shame on you HarperTeen for only letting us have a sneak peek at this book! Talk about a book tease! What a gorgeous cover eh? Love this series...plus Kiersten White is so freaking hilarious. Endlessly is book #3 in the Paranormalcy series. What are you waiting for? 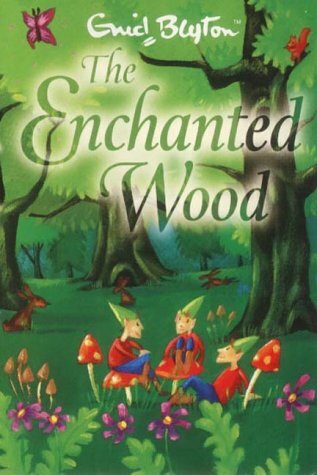 The Enchanted Wood is one of Enid Blyton's most memorable and truly imaginative stories, capturing a world where almost anything can happen if you just believe in the magic of nature and its creatures. Many adults will have fond memories of discovering the world of The Enchanted Wood: from the delightfully gentle Silky the Fairy, to the wonderfully bizarre but terminally jolly Moon-Face who along with a host of strange and mysterious characters live among the branches of The Magic Faraway Tree. Kate Winslet, the award-winning actress, was captivated by the stories at an early age and during her pregnancy approached the company who own the rights to the Enid Blyton name to ask them if they would be interested in having her record these magical stories on tape. The result is stunning. Winslet, with her gentle, singsong voice, captures the pure joy of these unforgettable stories from the moment the tale begins, and Joe, Beth and Fanny--the three young children who move from the city with their family to the country house surrounded by the Enchanted Wood--are captured as the wide-eyed and open-minded children they really are, eager to become involved in all manner of adventure and never once questioning that this strange world they have entered might not be quite, well, normal. Whenever I am asked what book first started me reading, my answer is The Enchanted Wood, by Enid Blyton. That's not strictly true, I had read many books before that - I was one of those annoying kids that could read chapter books almost before I started school - but this was the book that convinced me completely that reading was going to become a lifelong passion. The Enchanted Wood is a tale about 3 kids who discover a magic tree in an enchanted wood. As you climb this tree you find different fruits growing on different branches - so cool. As you are climbing you meet different 'people' who live in the tree: Silky the fairy; Moon Face the ? (sorry, never did quite work out what he is, maybe an elf? ); Mr Whatchamacallit, who can't remember his name; Dame Washalot, who is constantly pouring dirty water down the tree; The Saucepan Man, who makes so much noise when he walks, and so many other diverse characters that I can't remember them all. The best part about this tree though is that when you reach the top the branches lead into different worlds - and that's where the real adventures begin. Then when you are finished with your adventure you can pick up a cushion and slide down the inside of the tree to the ground. Tell me, what could be better than that? I remember visiting Upside Down world, and trying for days afterward to walk on my hands. I had tea with the three bears, but not quite the ones I remember. There were candy worlds, empty worlds, sad worlds, happy worlds. So many I can't remember, but each world had at least a chapter all to itself and I was transported it my mind. Enid Blyton wrote so many novels about so many different things. Does anyone remember The Famous Five books - finding treasure on Kirrin Island (gold ingots in fact) - there were 21 of those and my kids read all of them. Love boarding school books? Ms Blyton wrote one of the best series about being away from home at school with the Mallory Tower books - the first one in 1946 - and don't forget the 6 St Clare's books, also about boarding school and written even earlier. But for me it was the Faraway Tree books that were favourites. There are four of them in all: The Enchanted Wood, The Magic Faraway Tree and The Folk of the Faraway Tree were the originals then there was Up the Faraway Tree - I didn't enjoy it quite so much, I think because some extra kids were added and the dynamics changed. Yes I know they are incredibly dated now, but they hark back to a time when parents let their kids go out all day, as long as they were home for supper. There were no electronic device and the world seemed just a little less scary. If you haven't come across them yet and you ever see them, give them a try and let your imagination soar. I think I'll have to try and find the recordings by Kate Winslet, just to see what she does with my favourite books. Oooohhh!!! Ahhhh!!! Isn't it lovely? Here is the new cover for The Infernal Devices #3 by Cassandra Clare! By the way, if you haven't already jumped on the Mortal Instruments bandwagon (shame on you! ), the movie will be coming out this fall and Simon and Schuster is offering up one heck of a deal to get you motivated to read. 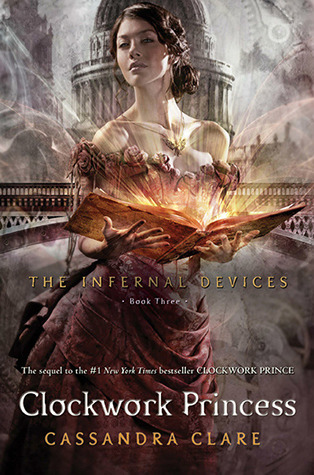 For a limited time only, City of Bones by Cassandra Clare is only $0.99 in e-book format. I found it on Kobobooks. It is also available on Google Play. Check out your e-book store! A few weeks ago we took part in the Canada Day Blog Hop and so I also perused our fellow Canadian blogs and entered a bunch of giveaways. Lucky for me, I won a book! Here's what I nabbed from Gef from Wag the Fox. Thanks Gef! 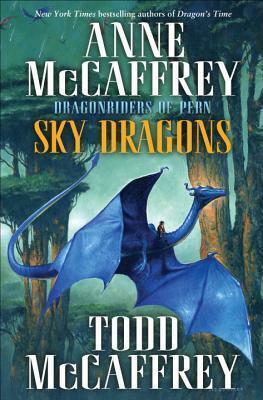 This is the 24th novel in the Pern series and is a little bittersweet for me. 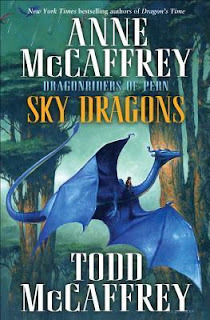 I have been following this series since the very beginning and it is one of my favourites, but sadly the author, Anne McCaffrey, died earlier this year. Thankfully her son Todd has taken up the Pern reins and I have high hopes of the series continuing for many more years. BTW, they are all pretty much suitable for YA readers, so if you like dragons, give them a try. Instead, the Pyr throw her a birthday party but ban Megan from attendance, putting Zoë in a tight spot. 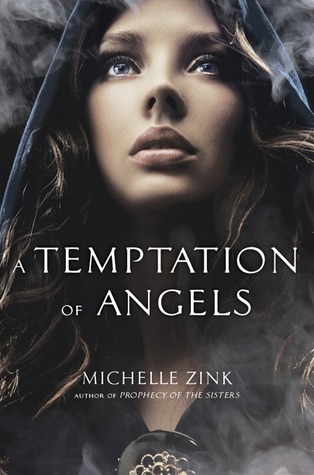 Things get even worse when Zoe is invited to the popular kids’ Halloween party and Megan’s left out. Zoë knows the party is a trap laid by the host, an apprentice Mage. 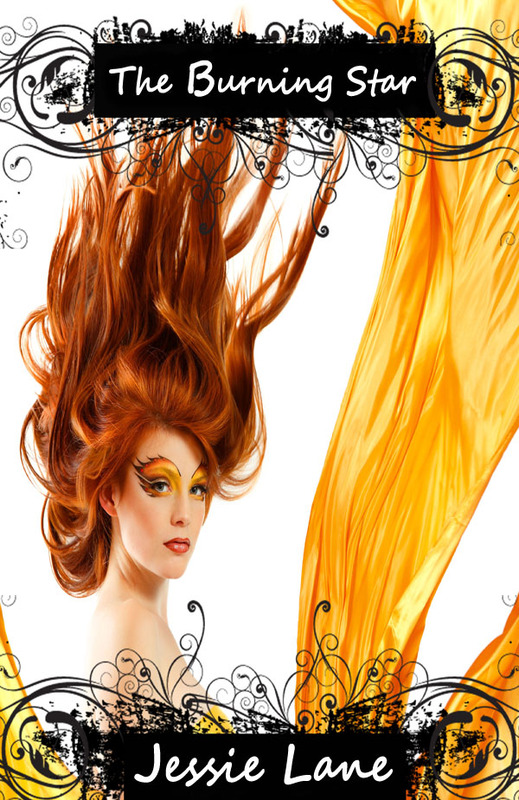 When Megan gets a last-minute invite, Zoë must save the day—and her best friend—without revealing her fire-breathing secrets . .
Winging It is the second book in the Dragon Diaries series after Flying Blind, which I reviewed a few weeks ago. It was full of more wonderful dragon-y fun. One of the most memorable things about this one is the number of amazingly hot guys who just seem to keep climbing out of the woodwork. There are dragons - Liam, Nick and Garrett; mages - Trevor and Adrian; wolves - Derek and spellsingers - Jared, (there may even be more that I\ve forgotten).Not all are good, sometimes you're not sure who is which, if you get my drift, but oh the testosterone! Not to worry, there are some great girls to help soak up all this maleness. Zoe is still a wonderful main character, who is slowly coming into her own as the Wyvern, and her best friend Meaghan is one of my favourites. Their relationship is full of complexities and the hurt feelings and mis-understandings really ring true. There is a little romance in amongst all the goings on, but it's not the main focus of the tale, although it is intriguing, with a little bit of a triangle forming, just for good measure. No-one seems to really know who to trust and there are countless twists and turns that keep the suspense alive, but ultimately make complete sense. Full of excitement and adventure, Winging It is not going to make a huge amount of sense if you haven't read Flying Blind first, but I strongly recommend that you try them. The third volume, Blazing the Trail, is sitting on my shelf already just waiting for me - what fun! 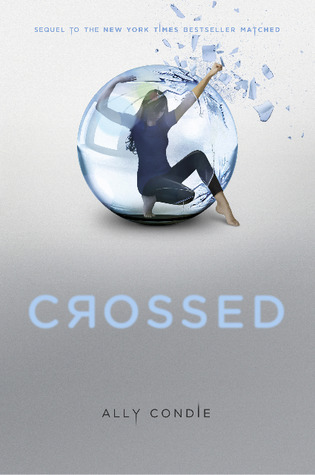 I always find it interesting when a popular adult author takes the reins of the YA genre and decides to jump in. Do they continue with with the same themes or try something completely new? I've only listened to one Philippa Gregory title but the story was rich and captivating. Ms. Gregory has a gift for writing history and placing the reader right into the pages of time. 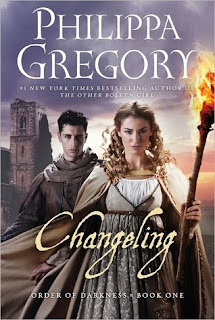 I was eager to read Changeling, thinking I'd feel the same way. Unfortunately, I didn't. I sometimes hate to write this kind of review because what I'd really like to do is gush over every book I've ever read but that just wouldn't be realistic. 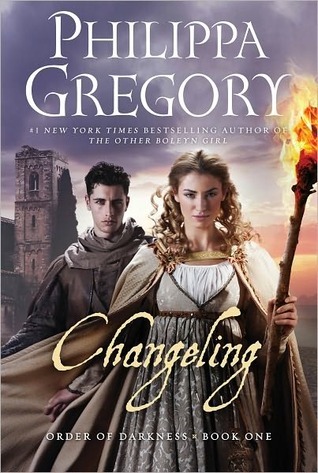 For me, Changeling was a bit of a disappointment. I kept waiting for something exciting to happen and it never did! I felt like the story was leading up to something that was going to be wonderful and thrilling but then it was a bit of a let down. I do have to say that I was surprisingly amused by Freize, a side character in the book. He had some great lines and quite a bit of cheek. He was the highlight for me. However, as in all reviews where I don't gush, I do recommend that you try it for yourself. I wasn't thrilled with this title but I DID finish it after all. Don't walk in expecting something similar to The Other Boleyn Girl or The Red Queen. If you do, you'll just be disappointed. If you are interested in historical fiction, this one might pique your interest because of the author's previous work but you might want to try it in audiobook format. It may be more interesting that way! 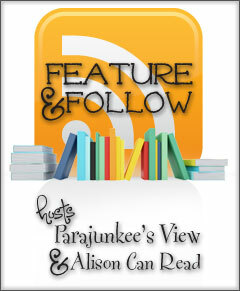 Christinabean kept nagging me to start a blog since I spent so much time at work talking up books I had read. Eventually I just had to give in when she said she'd join me and The Paperback Princesses were born. We still like to highlight as many books as we can find that will work for ISU's for school - there are so many great YA books that get missed for book reports - and we love to highlight as many books as we can that boys might like to read. It's amazing how many reluctant male readers come into the library, but once they get hooked on a good book, the sky's the limit. Now we've been going for just over 2 years and we're still having fun, although the old adage certainly rings true - so many books, so little time! 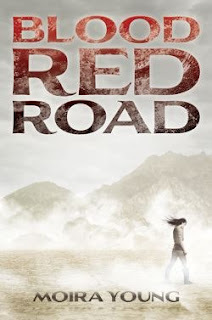 Canada Day Blog Hop Winner! Congratulations Nicole! Your book will be arriving in the mail shortly! We had a fabulous time and can't wait until next year's hop! dominant species. They are not 'regular' vampires, but nasty dirty creatures who need blood cups under their chins when they eat, and sleep holding onto handles in the ceiling - lovely nod to the old bat analogies. The descriptions of the involuntary drooling are downright disgusting, but they treat it so nonchalantly. The main protagonist is not actually given a name until about half way through the book, when he remembers his original 'designation' - Gene. Gene himself refers to other characters in the book by his own made-up designations like 'Crimson Lips'; Phy Ed; Abs and Ashley June. And of course, she is the only other character of immediate significance with a name! It is very interesting that when Gene meets the captive Hepers, or humans, he actually feels supeior to them, and doesn't consider himself on their level, but much higher. Although he is a human himself, because he has been 'passing for so long, he looks at the other hepers with disdain. It's kind of creepy actually. There is a thread of tension that runs throughout the book and the sense of unease and impending discovery is very insidious and never really lifts. 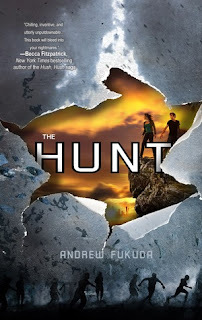 The Hunt is a tense, action filled drama, that will have your heart pounding, but don't expect the usual vampire romance - you won't find it, anywhere. This one sounds exciting. 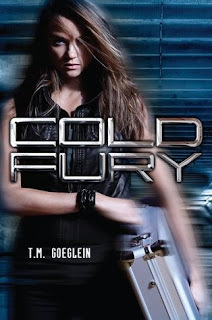 Goodreads say:s Jason Bourne meets The Sopranos in this breathtaking adventure. I can't wait. I Hunt Killers is a very disturbing book. Disturbing on so many levels - the subject matter, the violence, the potential for violence, it's underlying theme of Nature vs. Nurture. Lyga has managed to get into the mind of a killer, or potential killer, and he lays open all the disturbing options and realms of possibility available. Particularly disturbing is the way Jazz finds himself following his father's teachings just to get by. My heart broke for Jazz, for all he's had to go through and for his self-awareness - the double life he leads trying NOT to be a killer. Connie and Howie are true friends, who know Jazz's background and accept him for what he is, not what he might become - a copy of his father. It is a novel about acceptance - acceptance of colour, background and disabilities - and does not make assumptions. 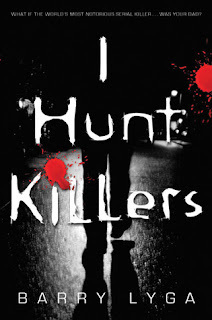 In spite of the above, or because of it, I Hunt Killers is primarily a roller-coaster thrill ride that will have your heart pounding as you try to solve the mystery. Who is the killer? And just when you think you've got it all sorted out, think again, Lyga throws in a twist that will have your heart pounding all over again. An exciting, unusual thriller that will have you begging for more! Stacking the Shelves is hosted by Tynga's Reviews. It allows us to share the books we have added to our collections - physical, virtual, borrowed, bought or received. I've got a ton of reading to do this summer. 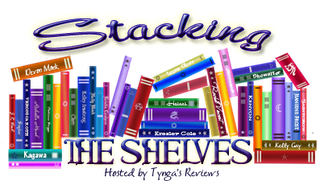 What's new on your shelves?